Selling a house can sometimes feel like a full-time job. Unless it is already picture-perfect, chances are you will have to put in some serious work into upgrades and maintenance as well as stage the interior to appeal to the largest number of buyers. Between strategically re-arranging your furniture to maximize space, applying a fresh coat of paint and a dozen other things, the exterior is often not a priority. Yet, overlooking it will have negative consequences on the perception of your property. First impressions matter, and, whether it’s a potential buyer coming to check out your house in-person or someone evaluating your property online, landscaping can either get one excited and wanting to see more or be an immediate distraction. 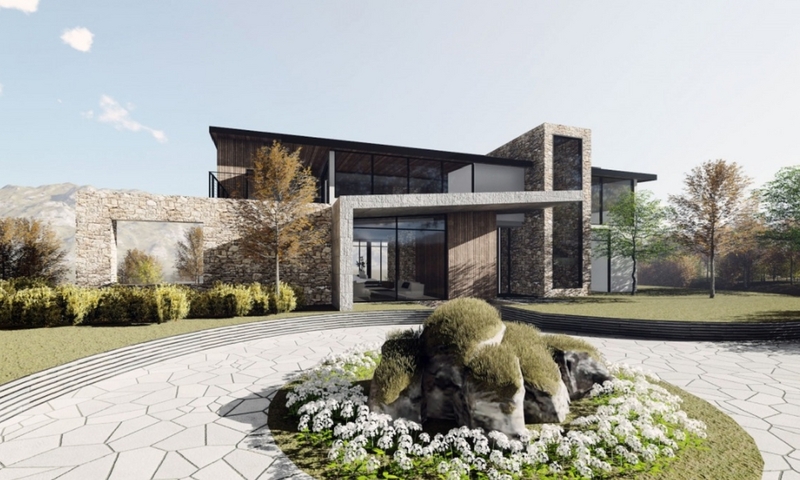 So, we have prepared a few landscaping tips that will help you create an exterior potential buyers will love without spending too much money. A jungle-like front lawn may appeal to some, but it will distract many. You risk the first impression being messy, unclean, and overpowering. Potential buyers are looking for properties that require as little work as possible, so make sure that everything in your landscape – be it trees, bushes, or flowers – are trimmed and shaped. Now that you’ve organized the greenery of your front and back yards, look around. From garden gnomes, to pots and planters, to the pavement itself – everything must be clean. Power-wash the pavement. Re-paint the pots. Fix any chips or cracks. Even the most elegantly designed landscape can’t shine through dirt and dust. Mulch is your best asset. Not only does it help you manage your soil conditions, it allows you to create shapes and even out the ground around your greeneries, thus giving them a finishing touch that’s aesthetically pleasing and does not take away from the element of nature in your landscape. There are also a ton of options – shredded hardwood, compost, pine straw, lava rock, and others – giving you freedom in designing your landscape. No one wants to purchase property that looks like high maintenance. A front yards with exotic plants, intricate flower patterns, a grand fountain, and a fish pond with a rotating bridge over it scream “high maintenance”! At the same time, there is a fine line between simple and boring, so we don’t recommend going the other extreme either. Instead, we recommend sticking to geometric patters, plants and trees that can thrive in your area’s weather conditions, and less extravagant/more homely items like a simple table set for outdoor dining. Show buyers that the exterior looks perfectly fine the way it is, but has space and potential to incorporate any other elements they may wish without having to take down any major structures or reorganizing the layout. This landscaping tip ties in with everything we’ve been saying before – keep it clean, neat, and simple. The exterior of your house should be an extension of the interior. It should give buyers a glimpse of what they can expect inside. So, if the interior of your property is designed in a contemporary style, an eclectic exterior will create a divide. Furthermore, while curb appeal certainly plays an important role in how someone perceives the overall look and feel of the house, it is not the main element buyers are paying for. They are paying for high-end appliances in the kitchen, for natural light exposure in the living room, for hardwood floors in the bedroom, for quality tiles in the master bathroom. Your landscape should not overshadow that, and your investment should be proportionate to how much value it adds to your property in comparison to all the other elements. Warm seasons will present your landscape in the best possible light. The flowers and trees are blooming, the grass is fresh and green, the sun elevates the overall feel. The period between mid-fall and early/mid-spring is not as generous. 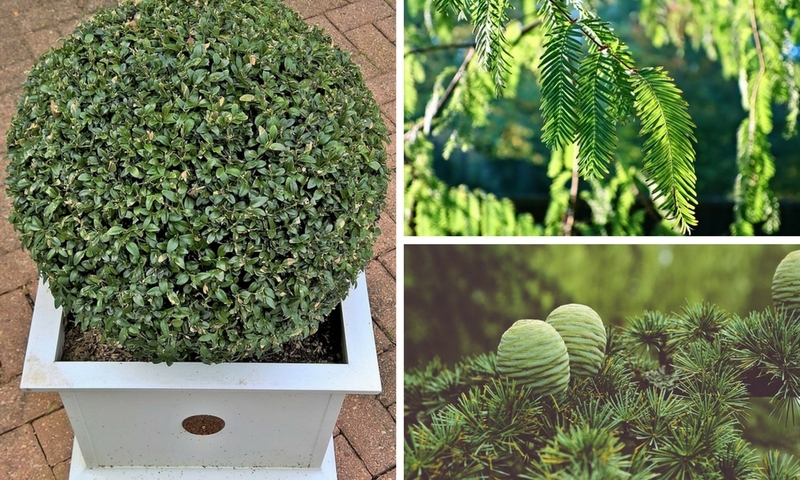 Add a few evergreens to your landscape design to add a touch of nature that will shine through the gloom of cold months. Your options when it comes to evergreens are endless: Japanese umbrella pine, golden Korean fir, American Holly, Mohave Pyracantha, etc. Don’t go overboard, though. Evergreens typically require a bit more maintenance. Add them strategically and don’t take this landscaping tip to the extreme by making your entire exterior dependent on the evergreens. A house that’s surrounded by concrete feels rigid and not welcoming. A house that you can’t easily walk up to because it rained and your shoes keep getting stuck in mud is equally unpleasant. That’s where you need to find the balance between function and aesthetic. Create a footpath that will allow visitors to easily access any part of the house, be it the front door or the back yard. Make it wide enough that 2-3 people can comfortably walk next to each other. Covering too much of the ground with a pavement is also unwise for warmer climates and summer periods as it doesn’t absorb heat much, but rather reflects it back on your house. This landscaping tip is for long-term planning. Trees provide your house with shade that results in tangible savings for homeowners. According to some studies, “within 5 years of planting [a tree] you can realize a 3% energy savings and by 15 years that savings can increase to 12%.” Energy-efficient houses are high on the list for prospective buyers. Need help designing your landscape? Arcbazar can help. Save 60% of the cost and receive 10 design ideas on average by using our network of 20,000+ designers from across the world. Create your free account today.